Enjoy a white Christmas and a whiter smile from your Dakota Dental Clinic! $185 (normally $450). A great gift idea for loved ones – and you! 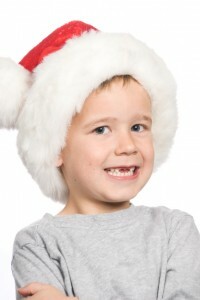 As adults, most of us have our front teeth and want to KEEP them for Christmas as well as throughout the year. To do so, the first step is to maintain a good dental care routine that includes brushing and flossing. Dakota Dental recommends brushing twice a day for about two minutes—a perfect amount of time to hum a Christmas carol or two. It is also important to visit our dental clinic twice a year for routine cleanings and checkups. And just in case your smile is not as bright as it could be, Dakota Dental family dentistry can help. With professional teeth whitening, you can erase years off your smile in about two weeks. Dakota Dental will work with you to determine if you are a good candidate for teeth bleaching. If so, the team will create custom-made trays to precisely fit around your teeth. These trays will accommodate the whitening gel that you can apply in the privacy of your own home. This gel does not contain silica and is found to be safe and effective by the ADA Council on Dental Therapeutics. In addition to teeth whitening, Dakota Dental cosmetic dentistry can help you makeover your smile with a number of therapies and treatments that may include dental implants, porcelain veneers, bonding, or even Invisalign invisible braces. A preferred provider for Invisalign for several years, the dentists at Dakota Dental are fully experienced and qualified to help you look your best. This Christmas, keep your two front teeth and all the rest with regular dental care routines. And remember, Dakota Dental’s dental services can help you get your pearly whites whiter. To schedule an appointment with your Dakota Dental Apple Valley Dentists, call 952-431-5774.